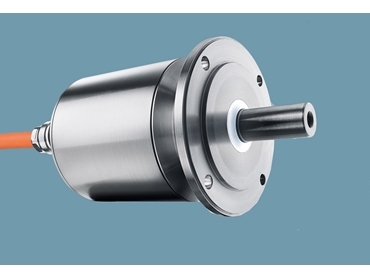 The AM8800 stainless steel servomotor series from BECKHOFF Automation features a hygienic design for particularly harsh environmental conditions and applications in the food, beverage and pharmaceutical industries. In addition to being equipped with FDA-compliant materials, these servomotors are now also certified with regard to design and materials in accordance with the rigorous requirements of the EHEDG (European Hygienic Engineering & Design Group). The food processing industry specifies certain requirements for the design and materials of components installed on machines. These usable materials are listed in the FDA guidelines according to their suitability, but there are no stipulations regarding their shape. However, the EHEDG applies these types of design guidelines that allow easier cleaning and decontamination of the motors, without having to dismantle any parts. The agency’s goal is for the industry’s machines and their corresponding components to be easy to clean while offering the least possible surface area for bacteria and germs to grow. The AM8800 servomotors are available with innovative One Cable Technology (OCT) from Beckhoff, which combines the power and feedback systems in a standard PUR cable, thus reducing the cleaning effort and wiring costs.